How To Fix Your Reputation | Thinkit Media, Inc. The internet has turned into a wealth of knowledge most could never imagine having 25-30 years ago. It’s crazy to think we used to get our info from encyclopedia’s, which meant a trip to the library. 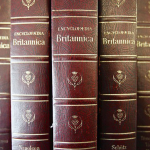 Unless, of course, you were lucky enough to have the latest greatest set of Encyclopedia Britannica sitting on your shelf. The act of actually sitting down and learning more about a topic was a chore prior to the internet. During those times, if you had a bad reputation, it was mostly in the confines of the area you resided in. Fast forward to today and the internet is literally a click away and you can find anything about anyone within a minute. The problem with this is if you get any sort of negative reputation on the internet, it isn’t just confined to where you live. This is a problem when you have someone just out to tarnish your name or your company name. 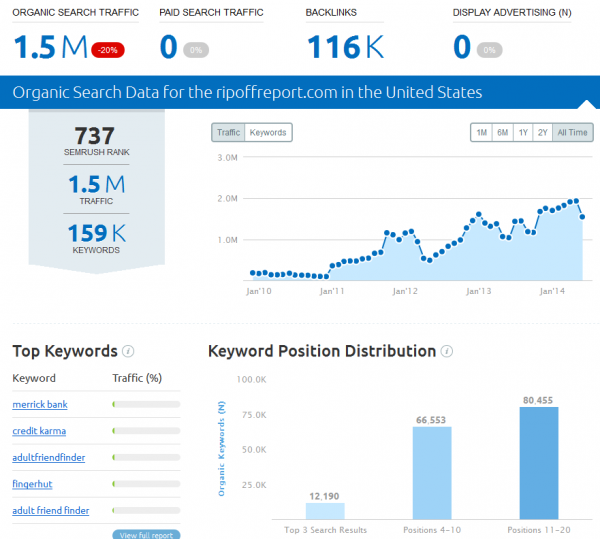 The search engines seem to favor negative content written about a person or place and places like RipOffReport and many others like it thrive in the business of destroying people’s reputations. If you happen to get caught in this vicious black hole of negativity, what do you do to preserve your reputation? What do you do to fix your reputation if it has already been hit? The trick is to make your name and/or brand more prominent than any of the negative sites that show up in the search results. Another question is how fast can I fix my reputation in the search results? This really depends on how aggressive you want to be and if you have the time to focus towards it until it is fixed. Thinkit Media has been a main source to use for most of the reputation management agencies out there. Due to non-disclosure agreements we cannot say who, but we’ll just say that if you see someone offering it, they’ve probably used us at one time or another. We have the resources to make things happen quickly and the blueprint to follow. We would love to help you, so if you need reputation help, send us your info and we’ll be more than happy to shoot you a proposal. Now regarding the big players in the online reputation bashing, let’s take a look at what kind of stronghold they have with the search engines. What you’ll see is they rank on the first two pages for around 160,000 keywords. 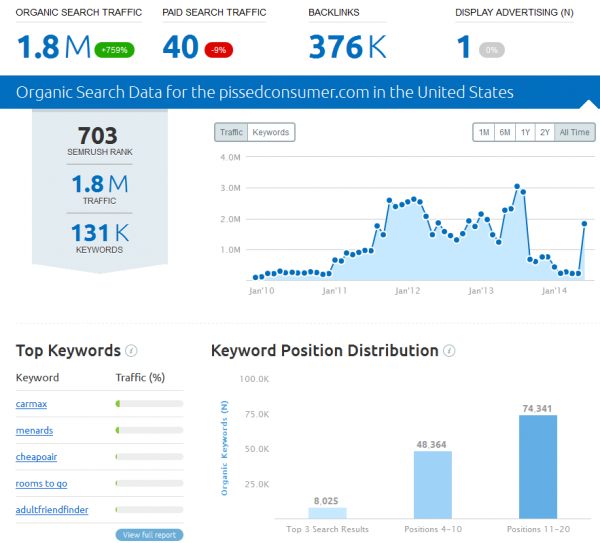 And if you look at their “Top Keywords” list, their traffic isn’t comprised of just a few keywords, it’s distributed throughout all of those 160k keywords. You’ll also notice they spend ZERO money to market the site, but their traffic is between 1.5-2 million visits per month. 2. PissedConsumer.com – Coming in right behind them is pissedconsumer. They had a sizable drop back in the end of 2013, but just jumped back up considerably. They’re not far behind ripoffreport and must have made a nice change to their site to get back in the positive view of search engines. There are others, but these two are the ones that come up most often. They usually have very derogatory titles that jump out at you when you view search results. Because of how strong these sites are, you really have to put time and money into improving your name in the search results. It can be done and as much as we hate to hear what happens to anyone, we are more than happy to help you get things resolved. Either send us your details and we’ll get in touch with you, or just call our toll free number (866) 565-9784 and we can discuss your situation.